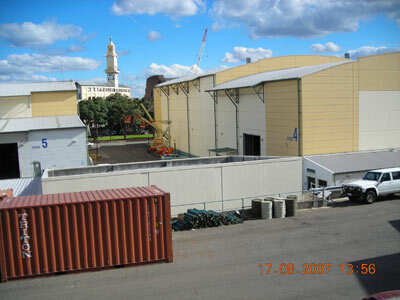 The Fox Studios website lists this building as a "Construction Workshop" which is 1,750sqm (18,830sqft). The crane in the background is building the extension of the grandstand at the Sydney Cricket Ground. NOTE: Because precise inventories cannot be obtained all of the chemicals, materials and processes that are routinely used in film production have been provided here. 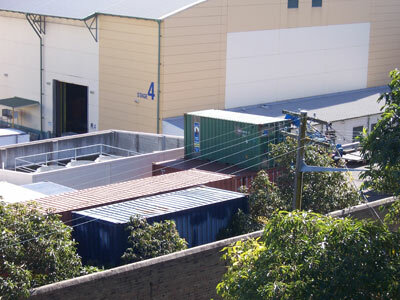 This list was provided to the NSW Department of Planning by the management of Fox Studios Australia. The human health effects of these chemicals are listed in this document.